As a remote friendly company, most Mobile Jazz team members don’t work from our central Barcelona office. For many of our employees, saying “I’ll be home for Christmas” doesn’t refer to a certain city–since many of us live on the road all year long! So we asked ourselves: How can we have a Mobile Jazz Christmas Dinner? To find the answer, we had to improvise. At MJ, we want to foster an ethos of connection and prioritize our employees’ well being so that we can deliver the top-of-the-line app and web development services to our clients. Our goal is to run a lifestyle business that puts our employees and customers first instead of some faceless committee of powerful investors. By staying lean, we get to call the shots–and this in turn has allowed us to attract top talent in the app/web development. And we get to host events all year round that bring our remote office together. 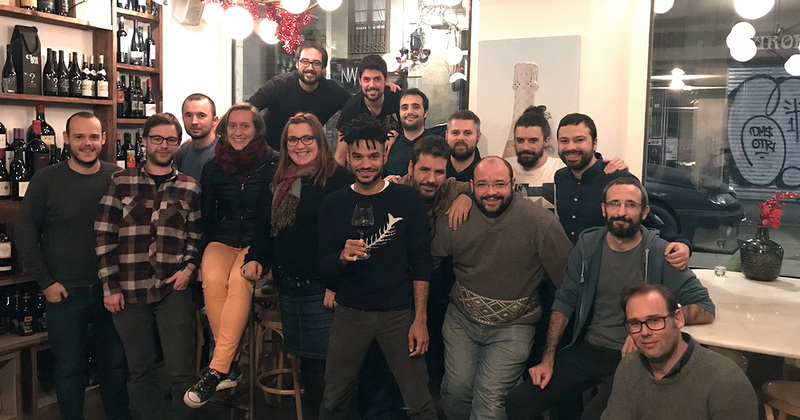 For our central Barcelona office, we held a cheery Christmas dinner for all our employees and their partners in the city. We enjoyed eating Rostit de Nadal and saluting the new year with glasses of Cava. Even a few ex-employees joined us as well! We also flew in a couple of people from around Europe just to join the festivities in Catalonia. As it happened, we also had the chance to have a secondary Christmas dinner meetup in Seville! 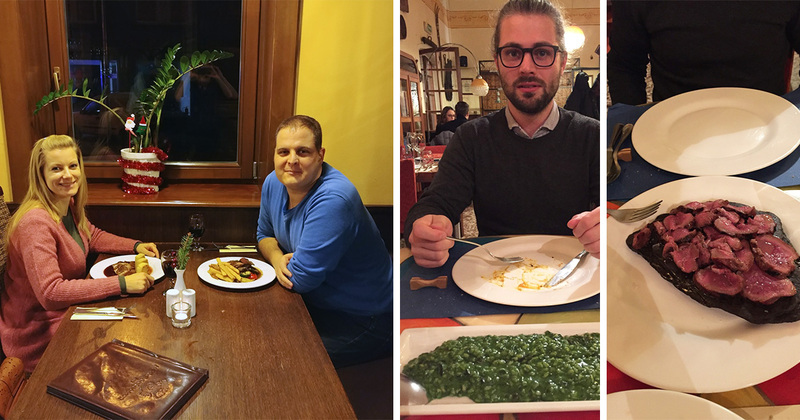 This year, 4 or 5 of our team members realized they were all in Seville at the same time, so they got together to celebrate the end of another great year, southern Spanish style. But what about those team members who couldn’t make it? 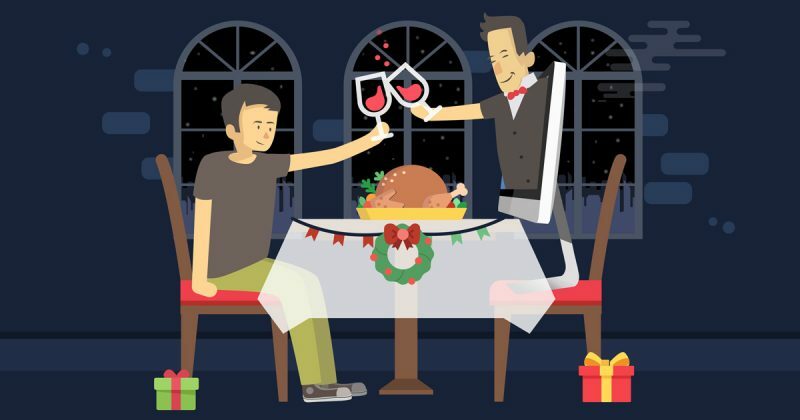 Team members who couldn’t make it to Barca or Seville got extra money in this month’s paycheck** to pay for a Christmas dinner out with their partner or family! (**This money was conditional, however. 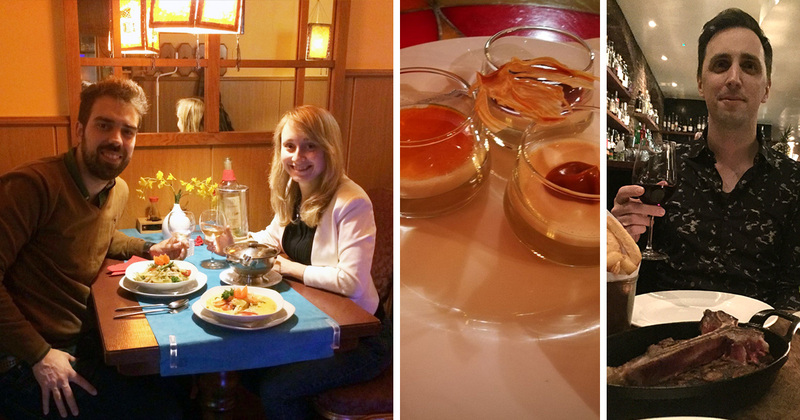 We made it a rule that they had to upload a photo of their Christmas dinner to Slack so that the entire team could see!) So far, so good. We hope you had a wonderful festive season and are looking forward to the joys 2018 will bring.